Not a girl, not yet a woman? 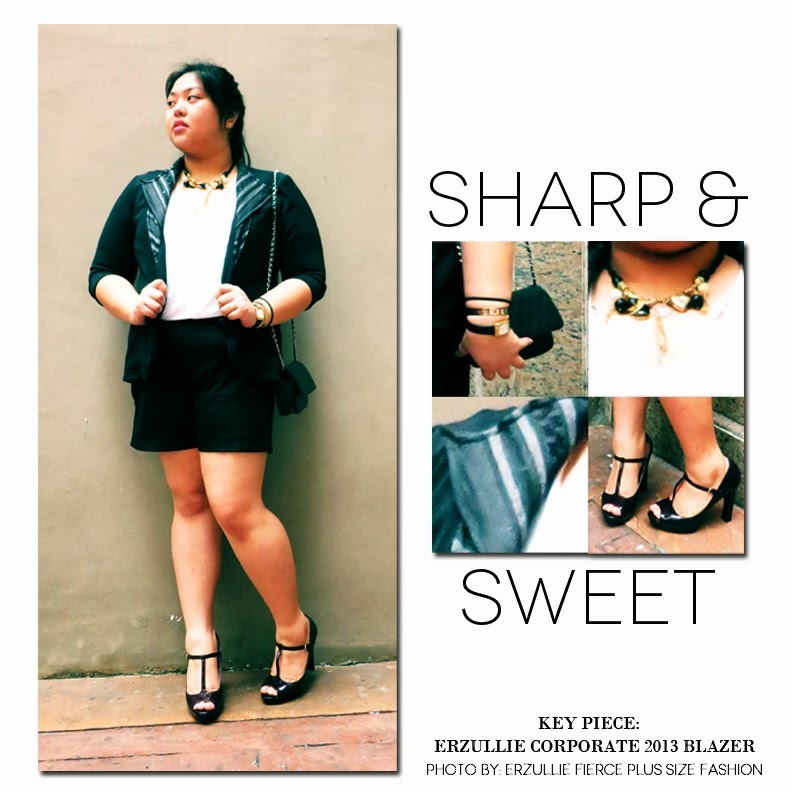 Try a sharp and sweet short suit ensemble! Erzulliesta Timmy looks amazing in this young corporate look. The shorts give it a nice youthful flair and with the added texture detail of the Erzullie Corporate 2013 blazer, the outfit has a subtle yet powerful impact. Placed on a white basic top, the combination of dark and light colors of the ensemble gives a great canvass for the necklace and chain handbag to be laid on. Also, the contrasting maroon heels give the right amount of bridging pop of color for the overall style.